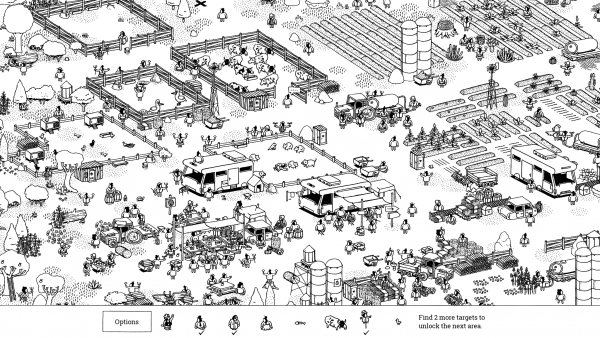 Hidden Folks ($3.99) by Adriaan de Jongh and Sylvian Tegroeg is a modern day “Where’s Waldo?” that is designed for mobile devices. 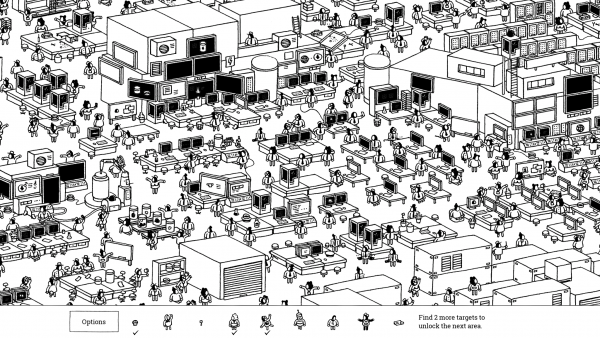 If you love a good hidden object game like Where’s My Geek?, then you will get a kick out of Hidden Folks. As I was growing up, I remember “Where’s Waldo?” being quite popular, though I didn’t get into it too much. But when I did go through some Waldo books at school or even friends’ houses, I did find it pretty fun and enjoyable to scan the pictures in my sometimes futile attempts to find Waldo. Even if you don’t find him, checking out every inch and detail of a picture is a great way to pass the time and it makes you appreciate things even more. Normally I don’t actively look for hidden object video games, but I’ve been hearing a lot of good things about Hidden Folks over the past few days, so it became something that I knew I had to check out for myself, even though it’s not my usual cup of tea. I’m glad I decided to give it a try, though, because it does not disappoint. 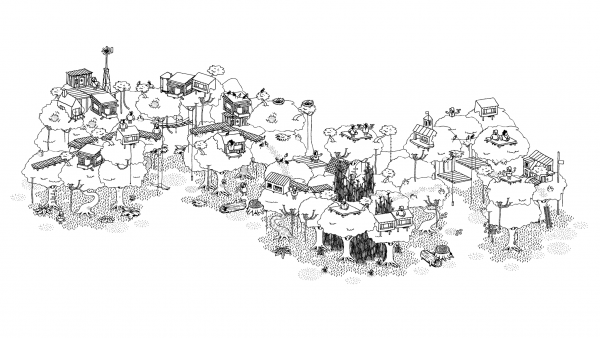 Hidden Folks has a unique art style that is completely hand drawn and animated, so it looks fantastic and is especially sharp and crisp on Retina screens. The cartoonish aesthetic is perfect considering the nature of the game, and the developers and artists made sure to spare no detail, because there are even shadows and other textures that are represented by small black dots. Even though the landscapes can be rather small and cramped with a ton of various people and things, there are fine and intricate details woven throughout the image that make it full of life. 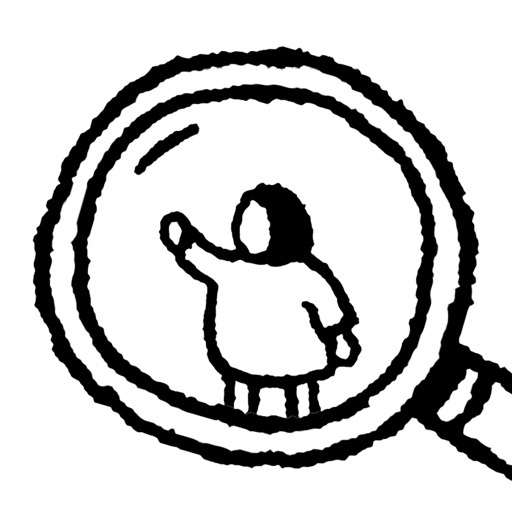 By default, Hidden Folks uses a white background with black ink for the drawings, but there are two other color options available through the settings: Sepia (beige background and black ink) and Night Mode (black background and white ink). 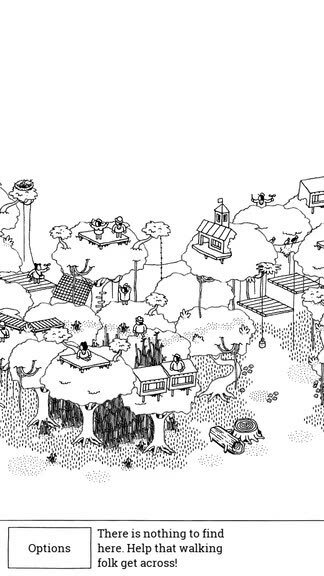 Since the landscapes come to life with bouncy movements from all living creatures that are in the level, all animations in Hidden Folks are smooth and fluid, so I experienced no lag on my iPhone 7. There is even haptic feedback for those who are using an iPhone 7 or 7 Plus, which is nice to have when you’re scrolling through the things that you must find in the scene. 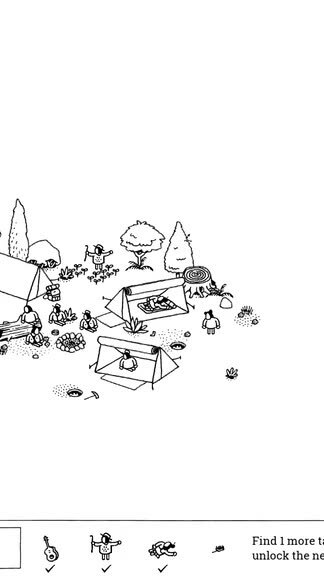 As far as music goes, there isn’t much of a soundtrack in the background, but Hidden Folks is jam packed with plenty of realistic background noises and the sound effects of things when you interact with them is fun and charming. 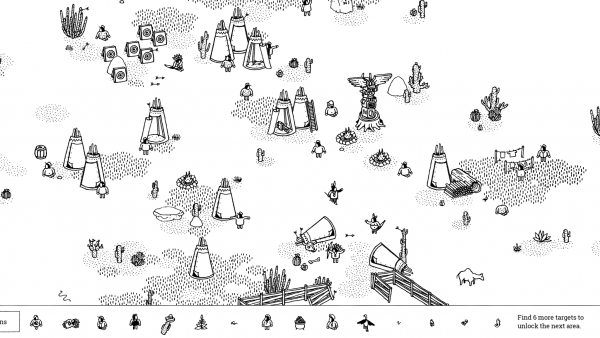 Like many games before it, Hidden Folks is level-based and players must progress through the game in a fairly linear fashion. 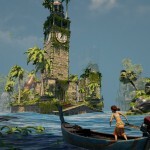 At the moment, there are four different types of environments that you can explore, and each section contains two to five stages of hidden object goodness. From the level select screen, you’re able to see your progress on a stage through the circle that is underneath it — if there’s a lock, it’s currently unaccessible until you meet the requirement threshold, a circle partly filled in means that’s how far you are in that stage, and a completely filled in circle means you’ve cleared that level. For each scene, you’ll have to find a certain number of objects in the environment before the next level becomes accessible to you, but if you’re a completionist, you can go back and find all of the hidden items if you so desire. While some of them are easy to find, others won’t be, and when that happens, it’s best to tap around and interact with everything you can, because some of them are just hiding better than others. 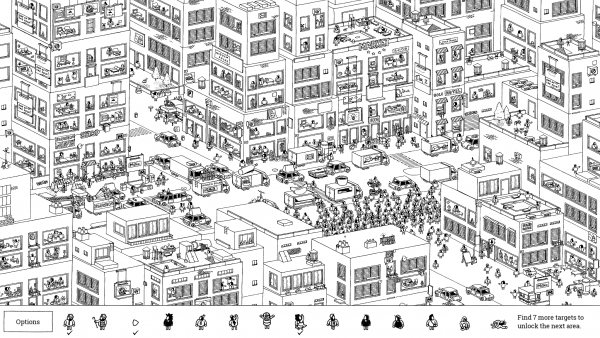 The controls in Hidden Folks are pretty straightforward and intuitive, given the type of game that it is. 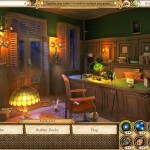 Along the bottom is a scrollable ribbon of the objects that you must find in the scene. Just swipe your finger left and right along it to see a description of the thing you must find. You can pan around the scene by dragging your finger around the screen, and tapping on the landscape lets you interact with various things, such as cutting through leaves and bushes, opening and slamming doors, and poke different people and animals. Once you find a target, it gets highlighted with a circle and tells you the name of what it was, and then it gets checked off from the ribbon. The end of the ribbon informs you of the remaining number of targets you have to find before unlocking the next area, but finding all of the targets on a scene is entirely up to you. 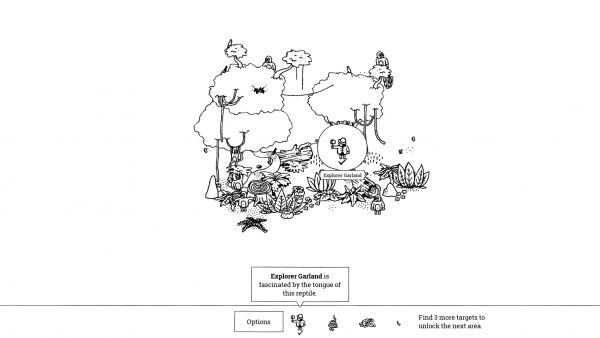 I am taking my time with Hidden Folks since diving into it this weekend, and as someone who doesn’t normally get into hidden object games, I’ve been thoroughly enjoying it. 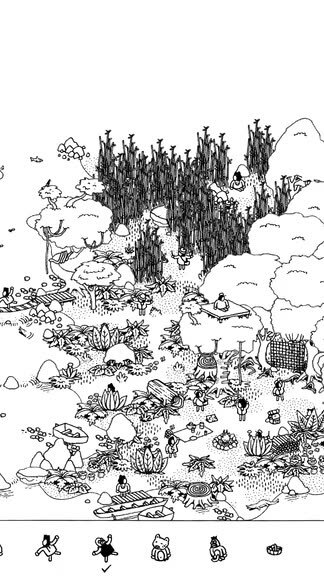 The hand-drawn visuals are done incredibly well, the sound effects are original, fun, and charming, and the controls are designed for touch screens, making this a perfect modern age “Where’s Waldo?” kind of game. Having the three different color mode options is much appreciated as well, since the default option can be blinding if you’re trying to play before bed. 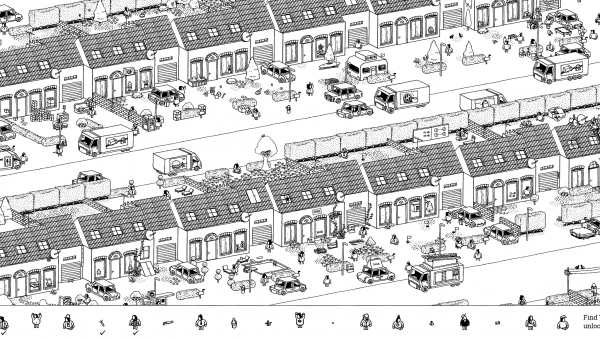 All-in-all, Hidden Folks is a wonderful hidden object game that is suitable for everyone and worth checking out. Hidden Folks is available on the App Store as a universal download for your iPhone, iPad, and Apple TV for just $3.99. There is also an iMessage Sticker Pack that is included with the download.